You can use the Gradients textures to create much higher quality gradients in 2D Toolkit. 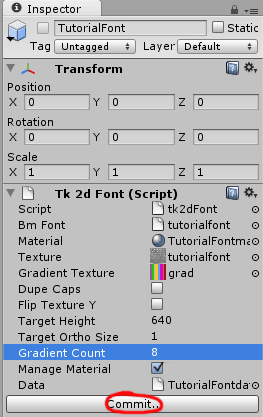 In addition to that, 2D Toolkit also supports inline style changes - changing gradient from within one textmesh. Add a gradient to the TutorialFont created here. This is the gradient file used in this example. Set up the number of gradient tiles. In this example, our gradient image has 8 tiles. Click commit. Any TextMeshes using this font will now use gradients. 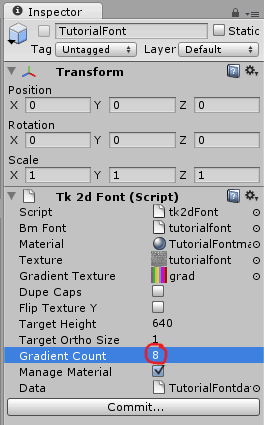 Create a TextMesh in the scene and pick the TutorialFont. 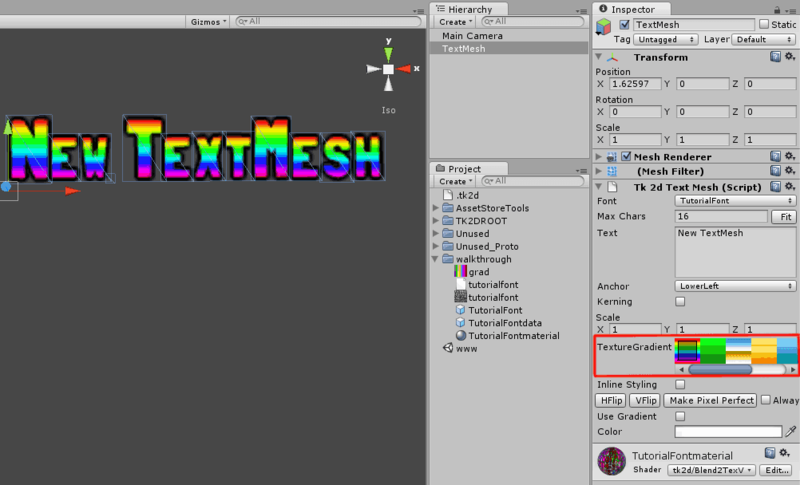 You will now be able to select gradients in addition to tinting the TextMesh using colors. 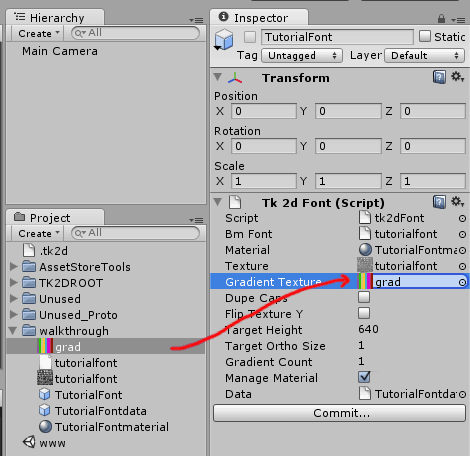 Tick the *Inline Styling * tick-box in the TextMesh inspector. You can use inline style changes to pick from the first 10 gradients. 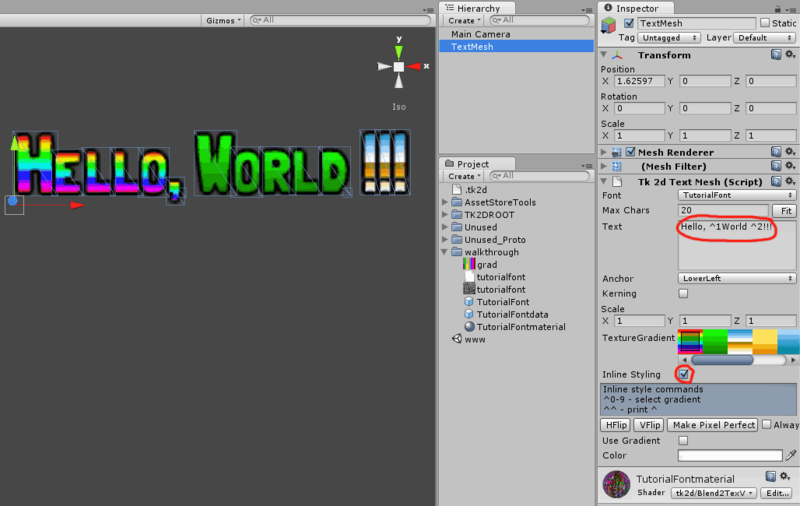 For example, you can enter Hello, ^1World ^2!!! and this will style the string as shown below. Note: The default style is the gradient which is selected in the interface. You can do this from scripts too, making this very powerful indeed.